Hard to tell without a picture. I highly doubt someone has a real F40 in town. I've never heard of anything like that in the Ferrari circles around here. I thought the same thing, but as a Fiero owner, I've seen numerous Fiero based kits. And I've NEVER seen one that looked anywhere close to as good as the one in that photo. The wheelbase looks too long, too. My wife also caught a cell phone photo of this car. My first thought was the same. There CAN'T be an F40 rolling around Huntsville... can there? From the photo above, either someone's done a REALLY good kit build... or it's real. I'm not sure what I think, but I don't think it's a Fiero based kit. Oh, I agree, that one in the picture posted is probably real. 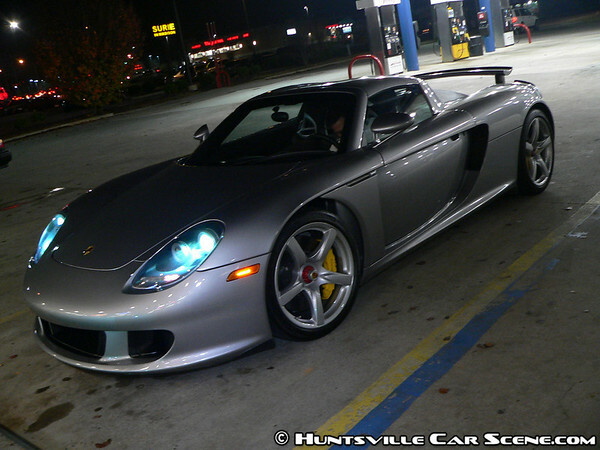 But that's also not an actual picture of what was driving in Huntsville. OK. My mistake. I thought the photo was of the one here in Huntsville. In that case, it COULD still be a Fiero based kit. The cell phone photo my wife took doesn't have enough detail to rule one way or the other. All good. That pic really shouldn't have been posted and confused me at first too. Feel free to post the pic your wife took. Let's see what she got. If I wasn't working, I would have chased it down haha. You guys should really join ChasingExotics and contribute to the Huntsville Spotters Thread there. These pictures would be an awesome addition to the site especially since my brother and I can't find every exotic by ourself. I'm already on there and have actually cross-posted most of my entries here from there. OK. I finally have the photo off my wife's phone. How do I post it? Do I need to host it somewhere like PhotoBucket? Or can I put it somewhere here? Photobucket and then link it here. Or you could email it to me and I can host it if you don't want to mess with Photobucket. Holy Crap!!! Did it have Huntsville tags on it? Not yet. 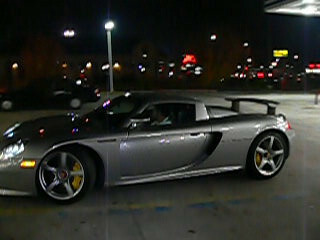 But he's the same guy who had the dark blue Aston Martin Vanquish, and he remembered meeting me as I introduced myself. I asked him what happened to the Vanquish and he said he crashed it. But at least he upgraded! Yeah, Clint and everyone looked at me like I was crazy when I ran and chased after the car. I came back later and explained that it's like seeing a Yenko Camaro. Then their ears perked up. So does that mean he is from HSV, because I really want to see it! Yep. My friend Clint from North Carolina that used to be the lead Porsche tech still has his number. We're going to give him a call this weekend and see if he'll take us for a ride. Good! Now I just need to find it so I can get a picture of it. 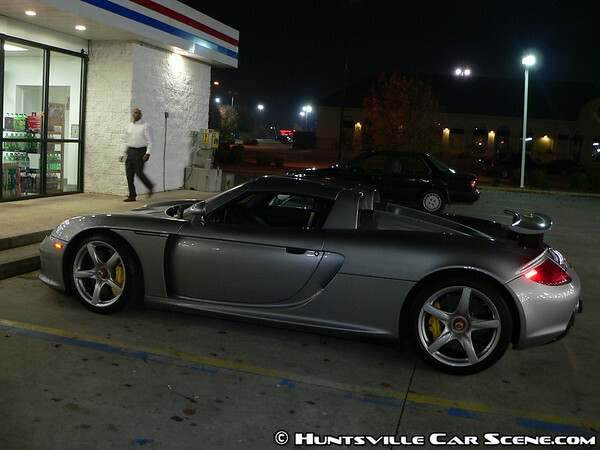 He turned towards Madison, and I'm assuming he lives there because I would see him out in Huntsville in the Vanquish. If he lived in Athens or somewhere in that direction, I don't think I would've seen him out as much.